As a Florida Elder Law Attorney, I know that there’s a lot to think about when creating a will. If you have underage children, who will care for them? How will your assets be divided? Will you simply give people money or property, or will you put it into a trust? Who will be your executor? Do you have a back-up executor if that person is unable to do it? With all of those decisions, many people forget about themselves. You shouldn’t, though, if you have specific ideas of how you want to be taken care of after you’re gone. What Do You Want Your Death to Look Like? Is there anyone who likes to think about their death? Of course not. But it’s important to do so when creating a will because this is your chance to tell your loved ones what you want. Some people may imagine an elegant, somber occasion with everyone they ever knew dressed in their finest clothing. Others may want a happier, more celebratory atmosphere. And then there’s the question of cremation versus burial. 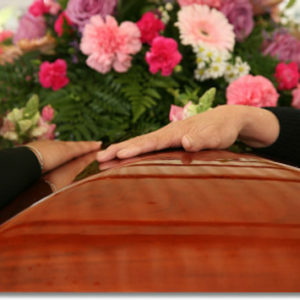 Whether you want your ashes scattered into the ocean or your body to be entombed in the most comfortable coffin that exists, it’s important to put it in writing so that your last wishes can be carried out. That way you can leave this world confident that you’ll be taken care of in the way that you want. And even if what happens to your body doesn’t matter all that much to you, at the very least it makes a financial and logistical difference to those left behind. Instead of just leaving it up to your loved ones to decide in their grief, a Florida Elder Law attorney can help you put the information in your will correctly to ease their burden. For more information please contact Board Certified Elder Law Attorney Kathleen Flammia at 407-478-8700.